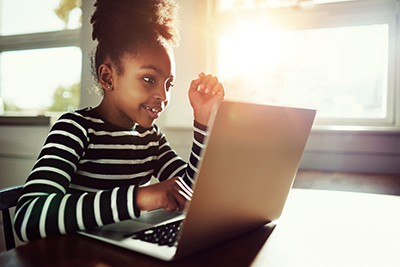 With One On One Tutoring's homeschool program, students spend the school year reaching their fullest potential with individualized learning programs that are tailored specifically for each student. Our flexible programs give you the freedom to create your own schedule as your child receives the highest quality instruction from a Pennsylvania Department of Education licensed center using research-based curricula. Before instruction commences, students that enroll in One On One Tutoring Service homeschool program are thoroughly assessed to determine academic levels and how they are best able to learn. The results of the initial assessment allows One On One Tutoring to create tailored learning plans that help students build a solid foundation in order to master the objectives needed to meet state standards. In addition, One On One Tutoring also works with families to determine the best online and in-center schedule for each child. If you are considering homeschool as an alternative, let One On One Tutoring handle all of your instructional needs. Students will benefit from blended learning which combines online learning with face-to-face instruction and flexible scheduling at our brick and mortar center location in the Mt. Airy section of Philadelphia. *Instructional time is extended for students attending in-classroom classes during the day. Homeschooling attends to children’s needs on a personal level. Homeschooling focuses on learning, not grades. Homeschooling benefits include creating a safer environment. One On One Tutoring Service utilizes the award winning, research-based, Compass Odyssey by Compass Learning.